Weeks have passed. The holidays are long gone. But the cheer of oranges dangling from the trees continues, and yet another large bag of plucked beauties awaits processing. One of the first lessons learned from the Great Marmalade Experiment of 2012, which has segued into the Continuing Marmalade Experiment of 2013, is that you only need 5-8 oranges to brew up a dozen small jars. I haven’t counted the fruit on our two trees, but it looks like enough to start a business. Even after my friend Jean came and took some. After a very cold week to start the year, the weather has been warmish most of this month. 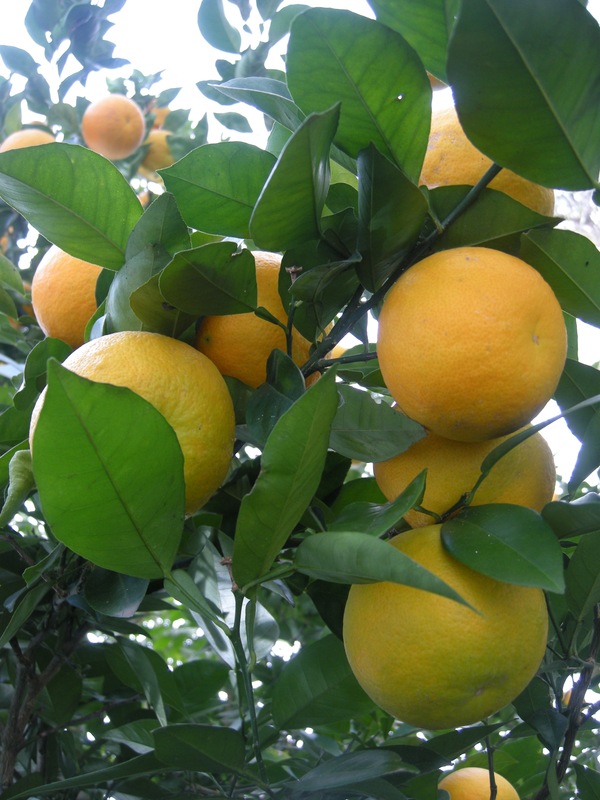 Ripe oranges are beginning to fall from the tree and roll across the driveway or into garden beds. I could just harvest them, chop them up and call it compost, now that we’ve installed an Envirocycle bin out by the back fence, and it’s hungry. But then I wouldn’t have all this good raised-Catholic guilt hanging over me. My friend Suzanne brought another friend over to help me scrape and julienne the first batch using a recipe I found online. Work intervened before the job was finished, so I hauled pots, jars and liquidy stuff to the Houston apartment — even smaller than this one! – to finish. A zen personality helps when it comes to the julienning. I cut up a tin foil tray to make a “rack” so the jars wouldn’t burst. I sterilized the jars in the dishwasher. I used a soup ladle to transfer the soupy liquid to the jars and wasn’t very exacting about filling to 1/4 inch of the rims. 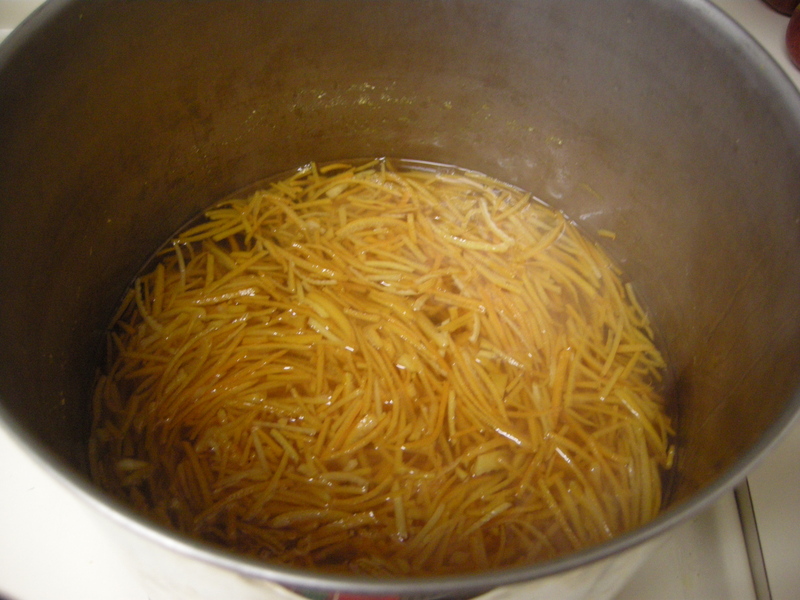 I was sure, when that stage finally arrived, that I had produced not marmalade, but some very pretty orange syrup. But miracle of miracles, those gratifying little “pops” followed, a sign the lids had sealed. And the next morning the liquid had set beautifully into a clear marmalade. 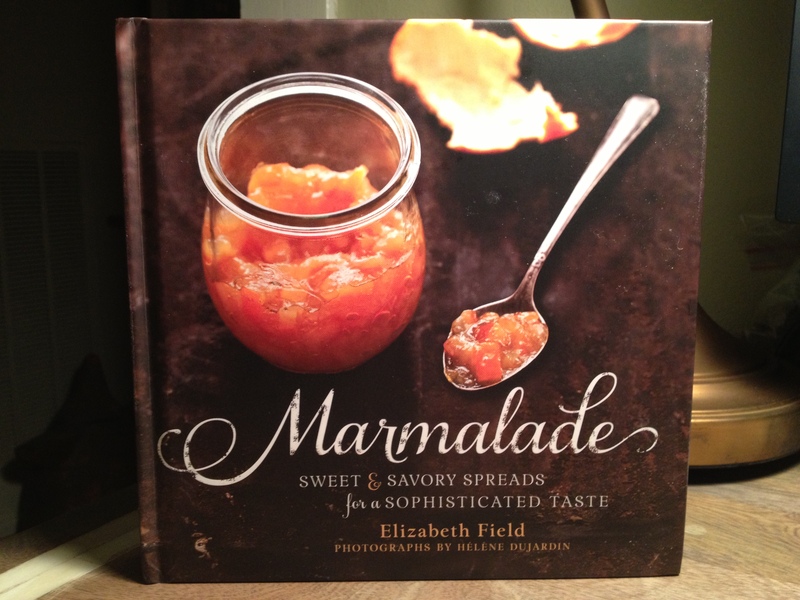 I took a jar to work with warm scones, and my friend Greg, the food editor, rewarded me with Elizabeth Field’s pretty book. 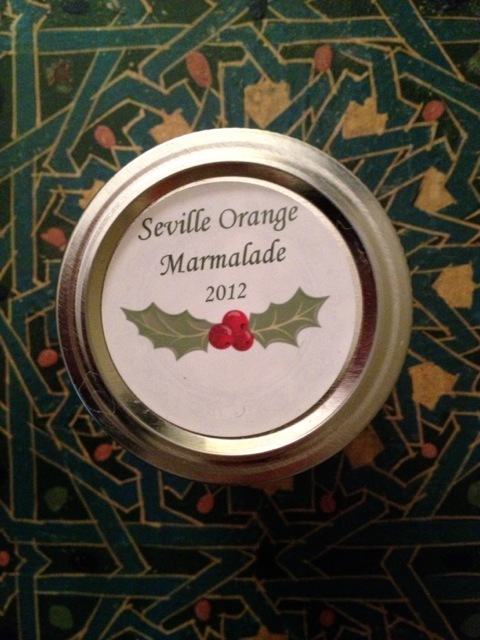 It has, among many other types of marmalades, at least four recipes for using Seville oranges. Eye-opening. Mouth watering. Elizabeth Field’s new book is full of inspiration. Given our small kitchen, I am supposed to be on gadget lockdown. But the full trees outside (or did someone say “fool” trees?) justified the purchase of some marmalade-making tools. Into the already-full cabinets came Oxo’s Good Grips 5-lb. digital scale (partly because it’s flat and easy to store), a Progressive “essentials” set including a one-handed jar lifter (who knew there was such a thing? ), a canning funnel (designed to fit over jar lids, with measurement lines) and a lid lifter (a plastic stick with a magnet on the end). I stopped short of buying a rack – the cut-up tinfoil worked just fine. The newest book from the Baker Creek Seed Company folks has a great primer on canning. 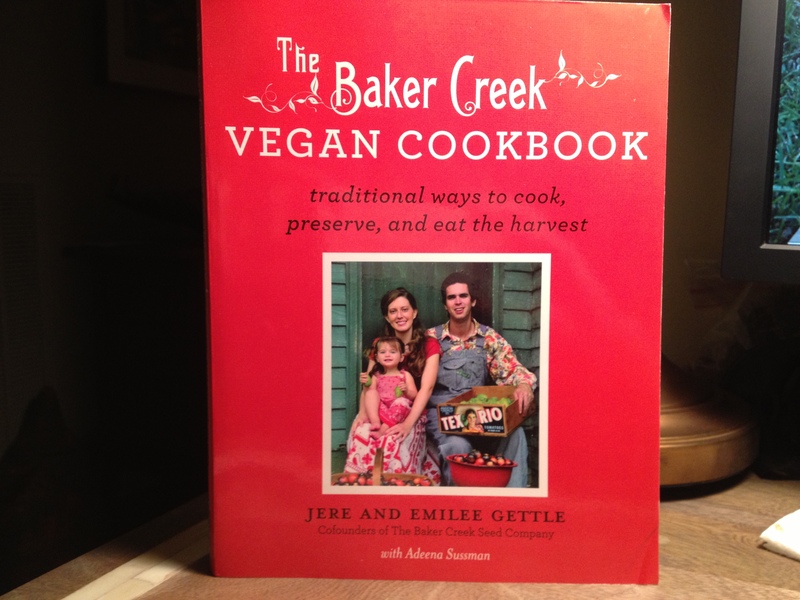 Jere and Emilee Gettle’s new The Baker Creek Vegan Cookbook also arrived serendipitously. 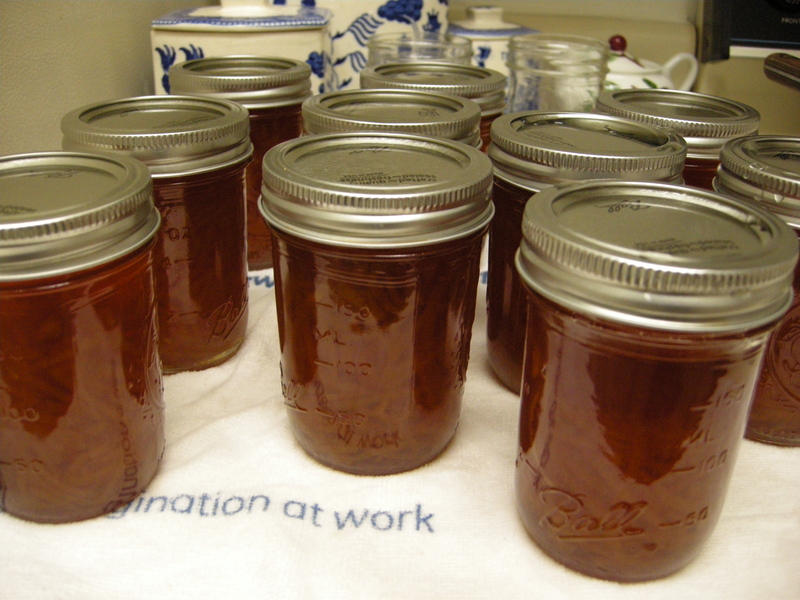 No marmalade recipes but an excellent primer on canning. It made me manic about checking to make sure jars aren’t chipped. Batch 2, Field’s Whole-Fruit Seville Orange Marmalade, was easier to make – it eliminates the peel scraping – but resulted in a cloudier marmalade. Oranges, a lemon and a ton of sugar are all you need to make an excellent marmalade, but I couldn’t resist getting a little fancier with Batch 3, Field’s Aromatic Orange-Apple-Ginger Marmalade. The most labor-intensive of all but Mr. Glentzer’s favorite to date. This entry was posted in Little Lessons and tagged canning, Marmalade, Seville orange on January 28, 2013 by Molly Glentzer.